This is by far one of the most comprehensive Weapon Retention Instructor Courses offered worldwide. You practice against someone who is really trying to take your gun. 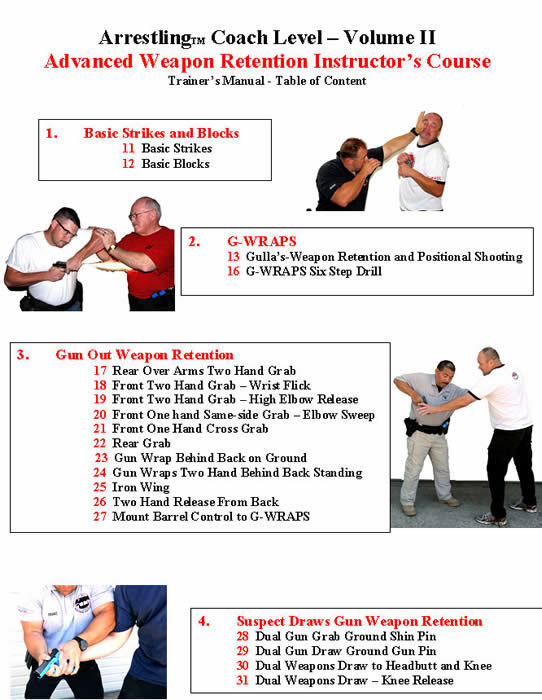 You’ll learn how to shoot in grappling range and keep the suspect from grabbing you gun. The braced contact position allows you to shoot, throw elbows, cycle the weapon and shoot again even if the suspect has both hands on your gun. These technique have been tested both in training and proven on the street in life and death situations. Student will use NLT SIRT Training Pistol and RBT Blank Training Rounds. Email Sgt Don Gulla or call 206-396-7040.